Why Does United Airlines Think Leggings Are So Inappropriate? Heads up, United Airlines, the athleisure trend is here to stay. Given the ubiquity of yoga pants, it’s rather bizarre that the airline stopped two passengers from boarding a flight on Sunday morning because they were wearing leggings. The airline also “required a child to change into a dress after a gate agent decided the leggings they were wearing were inappropriate,” reports the New York Times. Shannon Watts, who was at the airport when the three legging-wearing girls were barred from the flight, decided to tweet at United about the unsettling incident. You have to wonder: Why does United think leggings on women are so inappropriate, but shorts on men are a non-issue? Do Delta’s policies allow for gender bias and the policing of women? A United airline representative reached out to BuzzFeed News, stating that two of the three female passengers had violated the company’s dress code policy for “pass travelers,” a company benefit that allows United employees and their dependents to travel for free on standby. In fact, many airlines have a business-casual requirement for off-duty employees and their “non-rev” companions traveling on flights using this employee benefit. United then tweeted that their passengers are welcome to wear leggings; however, there’s been no comment from the company so far on why shorts on male pass travelers would be considered acceptable under their dress code, but leggings on women would not. Whether the company wants to admit to it or not, United sent the message that comfortable, form-fitting clothing is “inappropriate” for females of any age to wear. Does this outdated view of leggings oversexualize women’s and even preteen females’ bodies? Delta, at least, has assured all of their passengers that leggings are acceptable on their flights. 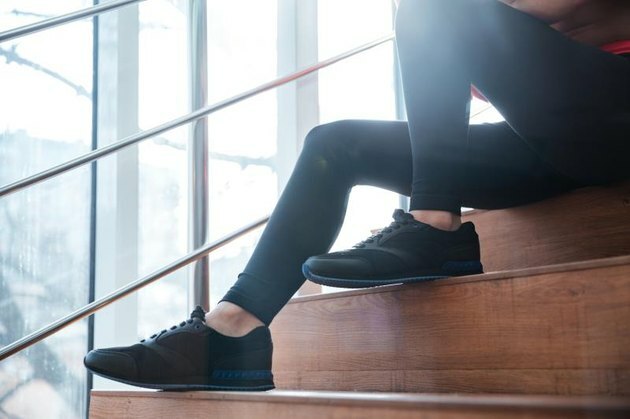 One thing we’re certain about: Athleisure is a $400 billion business, and itvs projected to keep growing. Teens, adult men and women and even business leaders have all embraced wearing stretchy workout clothes and fashion sweats as everyday wear. Maybe United’s employee dress policy needs a fashion refresher? Was United justified in stopping the legging-wearing females from boarding? Should airlines be able to dictate what passengers can and can not wear?